I made this simple dessert for our 24th of July Bbque and it was a big hit! 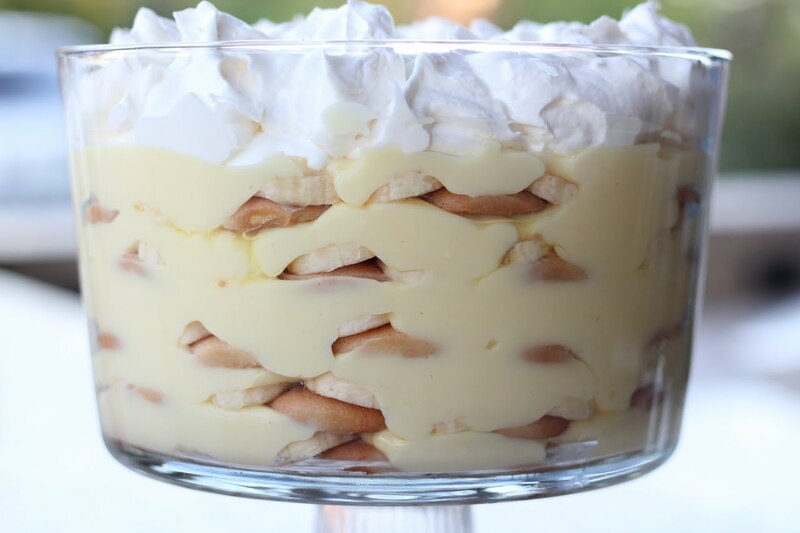 Creamy smooth banana pudding, layers of moist cake like Nilla wafers, fresh sliced bananas, top it all off with some lightly sweetened whipped cream and you have something bordering on euphoric! Mix pudding mix with the milk until smooth and beginning to thicken. Set aside. In an 8 inch round trifle dish, layer Nilla wafers on bottom, then about 3/4 of a sliced banana, then enough banana pudding to spread and cover. Repeat in this order-Nilla wafers, sliced bananas, pudding-4 more times. The ingredients used should give you plenty for a full 5 layers. Refrigerate for 2-3 hours until Nilla wafers are cake like. Then whip your cream to softs peaks, add sugar and then continue whipping just to stiff peaks. 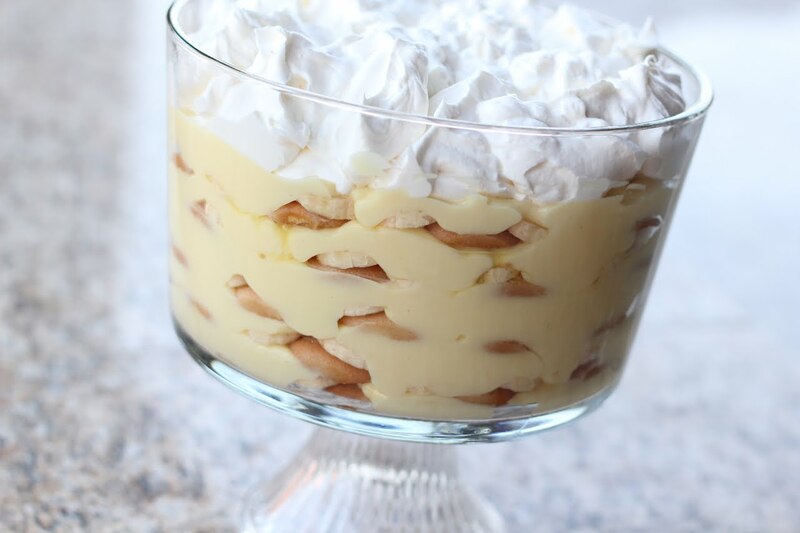 Pile the whipped cream on top of pudding and enjoy every CREAMY bite! I'm making this on Sunday for some company and I can HARDLY wait! I'm dying to try this! !